Of the causes of miscarriages are believed to be high levels of anti-cardiolipid antibodies, but the topic is very confusing and even more are confusing the experimental treatments that are being offered. The clinical picture of anti cardiolipid antibodies during pregnancy varies from no symptoms at all, to blood clots, to recurrent pregnancy loss, fetal distress is possible, preterm labor, they are in connection with low-birth weight babies and also associated with pregnancy-induced hypertension. But the pregnancy loss or miscarriage can be seen in as much as half of women with high titer anticardiolipin antibodies. However, it is important to bring out that there are several types of anticardiolipin antibodies: including Ig G type, types Ig M and Ig A. The Ig G type is the type that is associated with pregnancy loss. The other types Ig M and Ig A correlate somewhat less with pregnancy problems. It is very important that doctor established diagnosis that is based on sound testing that besides measuring anti cardiolipid antibodies includes measuring another type of antibody, called lupus anticoagulant. Since there is a strong correlation between the presence of ACL antibodies and lupus anticoagulant, both antibodies should be tested at the same time. There are evidences that in patients with high titer anti cardiolipin antibodies, pregnancy loss was prevented in more than 70% of cases with low-dose Aspirin (baby Aspirin) alone, while some other research studies showed that combination of Aspirin with the blood-thinner heparin was more effective in protecting from pregnancy loss. Doctor should definitely advise a patient to come for check up for the antibodies approximately 6 times apart, twice. 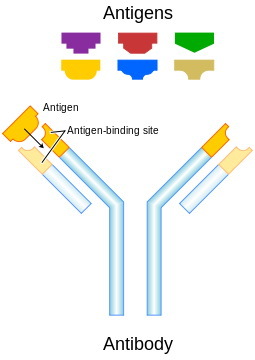 Doctor should detect whether antibodies are constantly positive, what titer and what type. If the titer is consistently moderate to high woman must be advised to visit rheumatologist and most of all high-risk pregnancy obstetrician. In consultation specialists should decide together what the best regimen is for a patient during the pregnancy in order to prevent miscarriage and to achieve pregnancy as stable as possible. Anyone else has lupus anticoagulant antibody diagnoses? Recent radiolgy report on spleen catscan.